In a near future, the air pollution is so bad that everyone wears gas masks. The infant mortality rate is soaring and birth defects, new diseases, and physical ailments of all kinds abound. The water is undrinkable—unless you’re poor and have no choice. Large corporations fighting over profits from gas masks, drinking water, and clean food tower over an ineffectual, corrupt government. Environmentalist Austin Train is on the run. The “trainites,” a group of violent environmental activists, want him to lead their movement; the government wants him dead; and the media demands amusement. But Train just wants to survive. 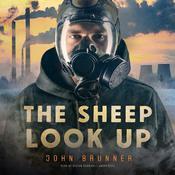 More than a novel of science fiction, The Sheep Look Up is a skillful and frightening political and social commentary that takes its place next to other remarkable works of dystopian literature, such as Margaret Atwood’s The Handmaid’s Tale, Aldous Huxley’s Brave New World, Ray Bradbury’s Fahrenheit 451, and George Orwell’s 1984. In a near future, the air pollution is so bad that everyone wears gas masks. The infant mortality rate is soaring and birth defects, new diseases, and physical ailments of all kinds abound. The water is undrinkable—unless you’re poor and have no choice. Large corporations fighting over profits from gas masks, drinking water, and clean food tower over an ineffectual, corrupt government. 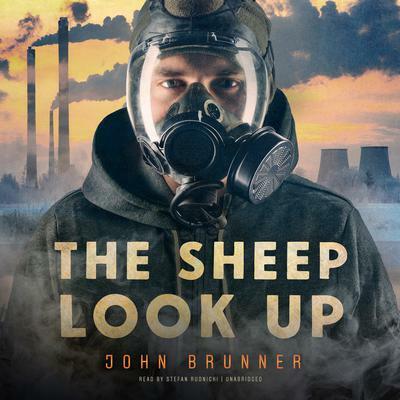 John Brunner (1934–1995) was born in Preston Crowmarsh, Great Britain. He is the author of over one hundred books, including the Hugo Award–winning Stand on Zanzibar, as well as The Jagged Orbit, The Sheep Look Up, The Shockwave Rider, A Maze of Stars, and The Compleat Traveller in Black. In addition to writing mystery, science fiction, and fantasy novels, he was a linguist and translator and served as an officer in the Royal Air Force.